You might be surprised by what you find here. We are, after all, a community of entrepreneurs, people whose parents and grandparents were so inspired by the beauty of the area, they decided to set up shop (quite literally), make a living and build their lives here. And we know what we’re doing. 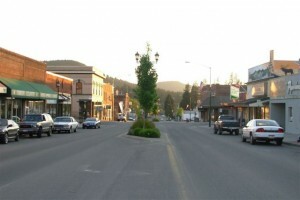 St. Maries is filled with fun places to shop, and interesting places to eat and drink. Our town offers two full-service grocery stores, hardware and lumber supply stores, a couple of coffee houses and drive-through baristas, a clothing store, a bookstore, a bevy of gift shops, restaurants and diners galore and pubs populating the corners in the same way Starbucks peppers the streets of Seattle. 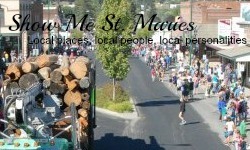 It seems everywhere you turn on Main Avenue and along the streets of St. Maries, there is something new to experience. Several fine establishments anchor our retail industry; our drug store has served our area for more than two decades, and our jewelry store has stood for nearly a half-century. The local newspaper has recorded our town’s events for more than 100 years. By no means are we a shopping mecca. Nor do we want to be. We’re your neighbors, your friends. We’re the people who just received the newest shipment of trendy scarves, must-have trinkets or trusty Carhartts and want you to come down and be the first to check ’em out.